It has been a beautiful summer here down at the beach. But all good things come to an end. Are you leaving your summer house for the winter? If you leave your beach home for the whole winter it is important to make sure your house is winterized. This is a simple process that our wonderful technicians perform to ensure your pipes wont freeze and no plumbing problems will arise while you are away. It is also important to blow out your outdoor pipes. Leave your beloved summer home with full assurance that all will be well when you return for your next special visit. Call to schedule winterization/outdoor water turn off today! 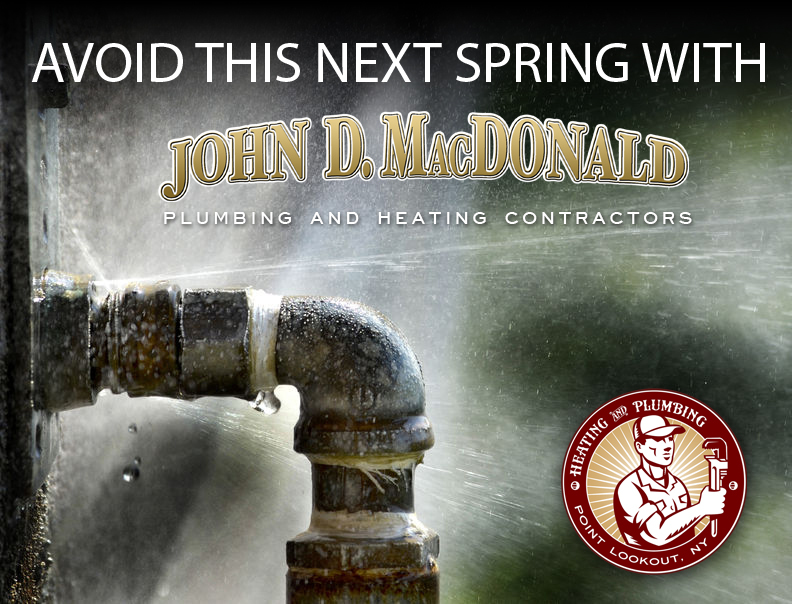 John D. MacDonald Plumbing is pleased to offer service to Atlantic Beach, NY. If your house in Point Lookout NY is only a summer vacation property, there a number of preventive maintenance routines that you can conduct to prevent costly repairs to correct frozen plumbing lines next spring. Last season, we inspected a large number of homes in Point Lookout, NY with damaged plumbing due to improper winterization. MacDonald Plumbing suggests leaving the heating system running at the minimum setting and closing down the main water line. We can all easily recall the dark, cold days following hurricane Sandy. Just one year ago many of us were without power and heat for longer than anyone could imagine. DON’T let that happen this year! In the event of another hurricane make sure your house is set with a gas generator. Call today and learn your options for installing a generator in your home. Leaving for winter? Get your house in check. It has been a beautiful summer here down at the beach. But all good things come to an end. Are you leaving your summer house for the winter? If you leave your beach home for the whole winter it is important to make sure your house is winterized. This is a simple process our wonderful technicians preform to ensure your pipes wont freeze and no plumbing problems should arise while you are away. It is also important to blow out your outdoor pipes! Leave your beloved summer home with full assurance that all will be well when you return for your next special visit.